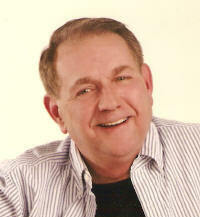 Dennis P. “Denny” Hetzel 63 of Breese died Thursday November 6 2008 at his home in Breese. Denny was President and owner of Technical Products of St. Louis. He graduated from University of Missouri, Rolla, School of Mines with both a bachelor’s and a master’s degree. He was a member of St. Dominic Catholic church in Breese, the Kirkwood Missouri Optimist Club and the American Society of Civil Engineers. He was born December 24, 1944 in Breese to Maxine (Hockman) and Walter “Boop” Hetzel. His mother survives him in Breese. Also surviving is a brother Terry (Debi) Hetzel of Centralia, Washington; nieces Heather Hetzel Lewis of Sumner WA and Amanda Hetzel Milledge of Rochester WA, great nephews Jayden and Kouri Lewis and Joseph Milledge Jr and as Denny called his “his son” Colin Lane of Chicago. Mass of Christian burial will be held Friday November 14 at 10 AM at St. Dominic Church in Breese with Fr. Ben Stern officiating. Interment will be in St. John Cemetery Breese. Friends may call at the the Moss Funeral Home in Breese Thursday from 6 to 8 Pm and Friday from 8 to 9:45 AM. Memorials can be made to an educational fund for his great nephews.